Amber liquid sparkles within the glass with salacious appeal. Your hand firmly grasps the smooth, sloped wall of crystal, as you raise it to your lips. Herbal aromatics and citrus tones float toward your olfactory passages. The creamy head caresses your mouth, as the initial infusion of liquid flows across your tongue. Flavors permeate your taste buds, where they activate receptors that deliver electrochemical impulses to your nerve cells. Charged with information, these cells transmit sensory information to the brain, where it is decoded and blended with memory sensors, and an overall flavor profile is imprinted. 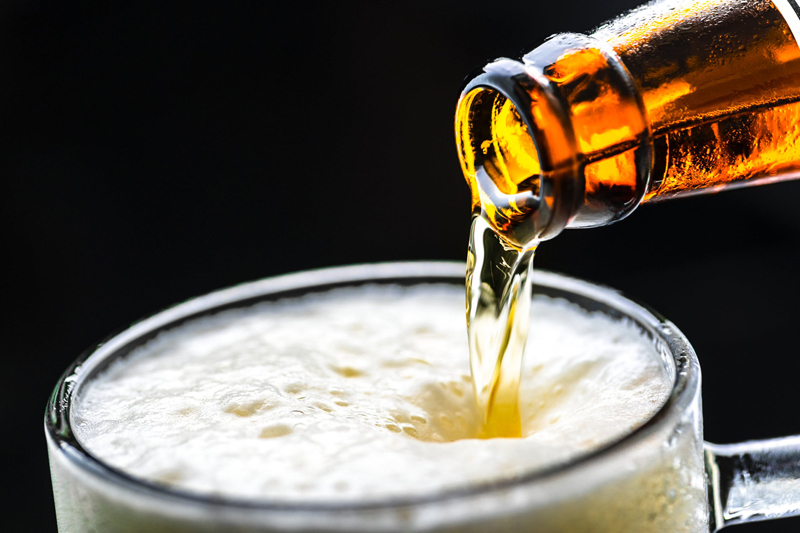 According to the research of Morton Meilgaard, Gail Vance Civille and B. Thomas Caar, beer has over 1,000 identifiable flavors. In their book, Sensory Evaluation Techniques, Third Edition, the theory of sensory perception is broken down into digestible segments that provide clear understanding of evaluation methods used by taste analysts. Despite their high level of expertise, professional tasters can only identify about 100 flavors in beer. How does the “Average Ryan” get started in assessing the flavor profile of beer? If a taste analyst can only identify 100 flavors, how do you stand a chance? Fortunately, Morton Meilgaard designed the Meilgaard Beer Flavor Wheel in the 1970’s. This is the standard reference used for the identification of “flavor” by the European Brewery Convention, the American Society of Brewing Chemists and the Master Brewers Association of the Americas. It categorizes 44 different profiles into 14 major sub-headings. These 14 sub-headings may be influenced by taste alone, odor alone, or a combination of taste and odor. It is interesting to note that eighty to ninety percent of the wheel is dominated by aroma, while taste encompasses less than fifty percent of what we perceive as flavor. The Guide to Beer Styles, published by the Beer Judge Certification Program, identifies major flavor profiles for 28 styles of beer, with nearly 100 subcategories in the listing. By becoming familiar with the profiles of your favorite styles, you can train your tastebuds to identify the more prominent flavors, while acquiring the skills to transfer into other signatures and styles. Sweet – speaks for itself! First, allow the beer to slur over your lips – nothing more. This allows the lacing and liquid to penetrate the sensory receptors on your lips, while the aromatic characteristics of the beer rise to contact the olfactory receptors in your nose. Welcome a small amount of beer, perhaps an ounce or so, into your mouth, and use your tongue to gently distribute it throughout your oral cavity. Feel the sensations on your tongue. Sweet flavors are most intense on the tip of your tongue (think of licking an ice cream cone or lollipop). The forward sides of the tongue are sensitive to salt, although you may have sensitivity to salt and sweetness over the entire front section of the tongue. The sides of the tongue, toward the back, are privy to sour and acidic sensations. Stimulation to these areas can actually cause the sides of the tongue, the inner cheeks and the upper sides of the inner gums to physically draw toward each other (as in the classic “pucker”), intensifying the sour profile. Since the back of the tongue detects bitterness at a higher level than other sections of the mouth, it is necessary for a beer analyst to swallow the liquid, rather than expel it (as in the case of the common wine taster). This makes the sensory analysis of beer a delightfully pleasant experience. If you are evaluating several beer styles, begin with the lightest flavor characteristics. Use a clean glass for each one. Cleanse your palate with spring water between each style. You may wish to keep unsalted crackers or bland bread on hand – this will help neutralize a flavor that you find to be unpleasant. However, the exposure to crackers or bread can influence your sensory receptors, so you may wish to take a break afterwards and allow your tastebuds to settle down. Be aware of the alcohol level in the beer. Since signatures with high ABVs dull your senses more quickly, you may experience a decreased ability to detect flavor nuances. It is recommended that you reserve these higher-alcohol styles for the latter part of your tasting, so you can enjoy the highest level of assessment over the greatest period of time. Take the time to fully appreciate each beer style, and to differentiate between the profiles of each. Keep a leather log book of your tastings. Note the tastes you detect – use similes or metaphors for descriptions or note strong emotional responses you may experience.